"Thank you so much for all your hard work. Our partners are all very impressed, and I am certain their individual business will be heading your way soon." "I had the pleasure of spending almost 9 hours with your driver Paul Lucas yesterday. He was extremely knowledgeable of the areas, extremely personable, and he genuinely made my business, on this day, a breeze." 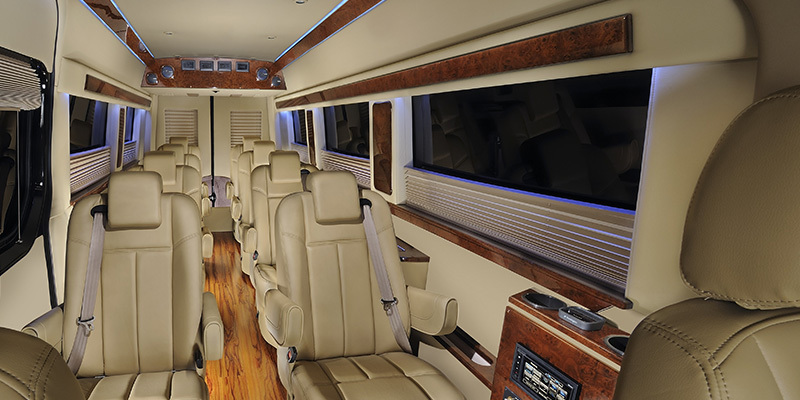 The Executive Van is one of our most popular options for corporate teams who need to remain productive while traveling on the ground. 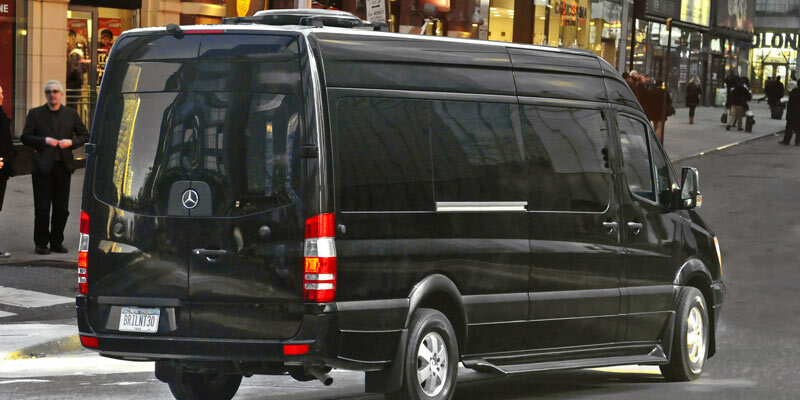 With the individual stowaway desks, electrical outlets, high-speed wifi, and bluetooth connectivity - the Executive Van is the ideal way for your team to travel. Each member of can sit comfortably in their own individual leather captain's chair and conduct business in a mobile office. The Executive Van brings your team's office on the road. With Brilliant's new concept your team can now remain productive from the moment they begin their travel.